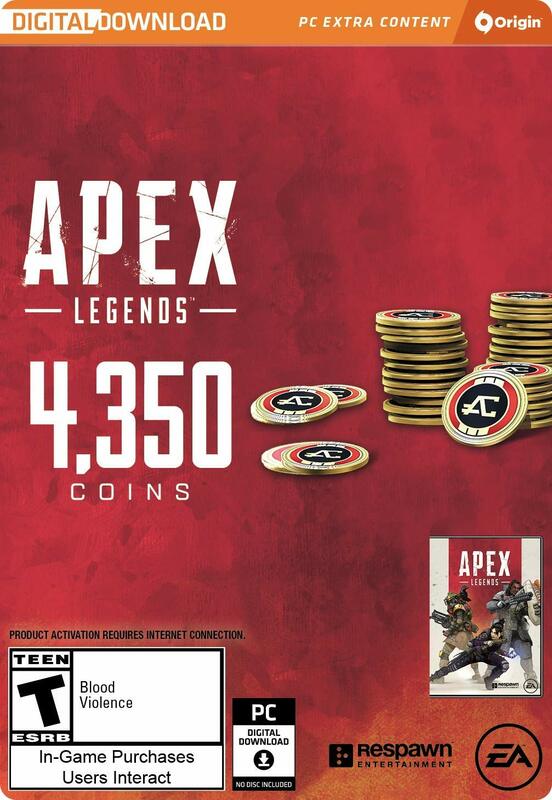 You are buying Apex Legends: 4,350 coins. For this in-game currency, you can purchase items of appearance for characters and weapons in the store for direct purchases. Apex coins can also be spent on Apex sets for the appearance and discovery of new characters in the in-game store.